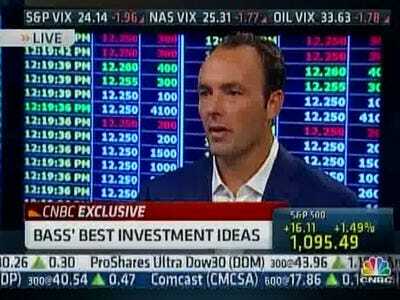 Kyle Bass is on CNBC, and of course he’s talking about Japan being doomed. He doesn’t know what, exactly, will set off Japan. It will just happen in the next few years. In Greece, for example, there wasn’t one catalyst like a failed auction. It doesn’t surprise Kyle Bass that stocks are doing well despite the high debt rates because… Zimbabwe! OK, we’re not technically hyperinflating, but Bernanke is printing a lot of money. On the Fed’s Zero Interest Rate Policy: When you understand how these heavily indebted Western government have entered the zero-bound, you get into these problems where expensive permanently grow faster than revenues. As for state and muni finances, Bass seems to be in the Meredith Whitney camp.